Hey Roadies! 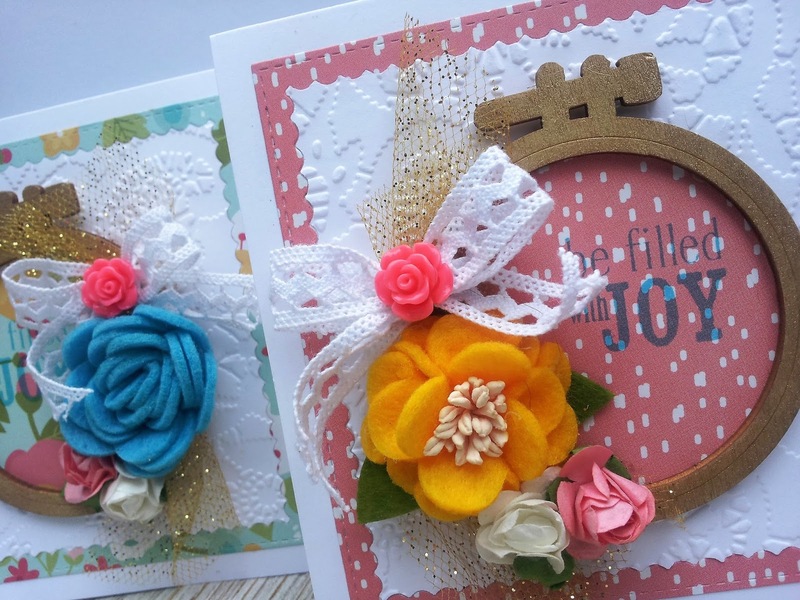 We're back for another inspiring creation from October Guest Designer, Linsey Rickett! If you missed her stunning altered pallet that we shared with you on Wednesday, be sure to scroll back a post on the blog to see it. It's not to be missed! Hello Roadies and happy Thursday to you! Linsey with you again and today I'm sharing my second project for my guest spot here on the Maya Road blog! I've created 2 fun cards with lots of dimension and I hope you like them! Here they are! I love these darling Wood Embroidery Hoops that were sent to me. I inked them in gold and then I stamped a sentiment from the Mason Jar Stamp Set to create the center. 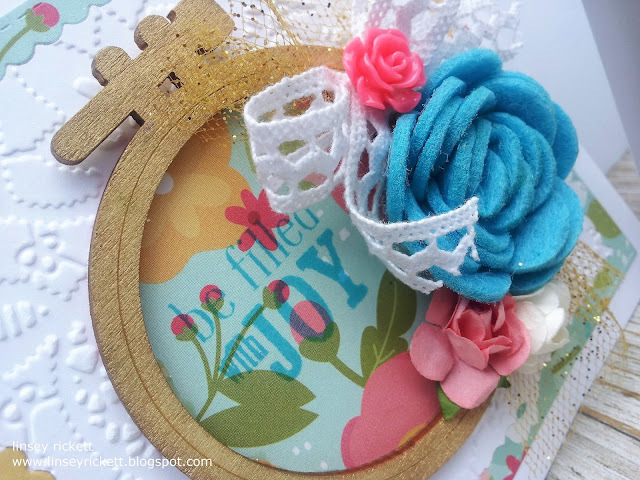 I decorated 1 hoop with a Sunshine Felt Bloom and the other with a Turquoise Felt Blossom, then I added a Pink Small Vintage Paper Flower and a White Small Vintage Paper Flower to each. Finally, a white lace bow with a Resin Flower in Shocking Pink added to the center of each and a bit of gold glittered tulle to finish. Maya Road felt flower and blossom embellishments are amongst my new favorite things! 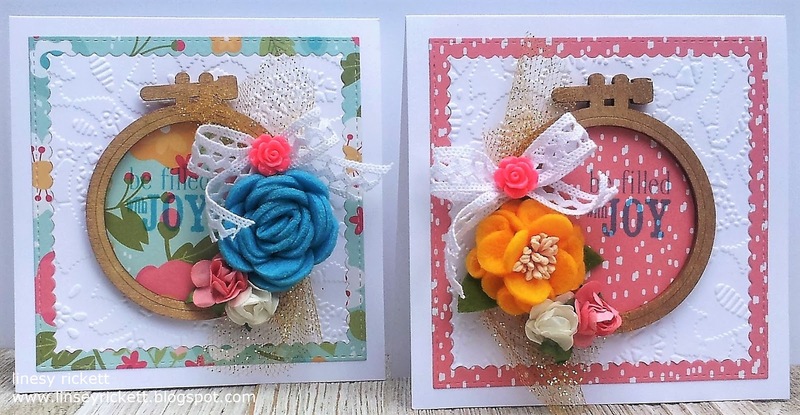 They are so easy to add to so many different projects and they always look beautiful! I'm in love with them! That's all for me! Thank you so much for visiting and allowing me to share some of my artwork with you! I've enjoyed it so much! Have a great day! Happy crafting! Thanks so much Linsey for guest designing for Maya Road! We've loved being able to share your beautiful creations!